This badge was issued to Rosemary Thompson on 13 Jan 2003. The National Certified School Counselor is the premier certification for school counselors. NCSCs have voluntarily met high standards for the practice of school counseling. They are competent in skills related to the foundations of school counseling, including counseling consultation and program development; family counseling; counseling children, adolescents, and/or at-risk youth; addictions counseling; and counseling for trauma, violence, or abuse; among other content areas. Master's degree in counseling from a regionally accredited or CACREP-accredited program of at least 48 semester hours including a course in Foundations of School Counseling and three of the following five courses: Counseling Consultation & Program Development; Family Counseling; Counseling Children, Adolescents and/or At-Risk Youth; Addictions Counseling; and Counseling for Trauma, Violence, or Abuse. Six semester hours or 10 quarter hours of supervised field experience must have been completed. Documentation of two academic years of full-time postgraduate work experience as a school counselor and 100 hours of postgraduate supervision. Applicants must obtain a professional endorsement from a professional colleague who holds a master's degree or higher in a mental health field. The individual providing the endorsement cannot be related to the applicant and cannot be the same individual verifying supervision. Applicant was required to earn passing score on the National Certified School Counselor Examination (NCSCE). This is a proctored exam on school counseling competencies complete with identity verification at an NBCC-approved testing site. 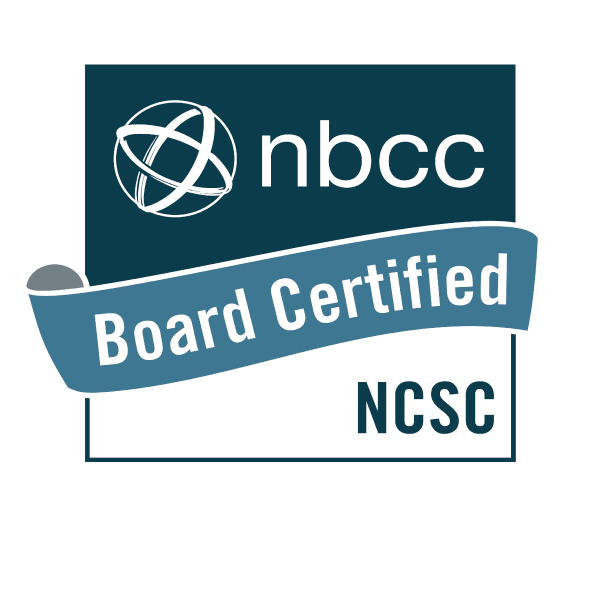 Recertification - NCSCs recertify every five years and are required to earn a specific number of continuing education clock hours in school counseling topics.